See you in Mogadishu, a book-interview with Italian journalist Pietro Petrucci, was the story of the Somali state since its independence in 1960, told by a man who served his country as shepherd, doctor, minister and refugee. Mr. Sheikh, Somalia is in the headlines again. Reading the news, it seems that Somalia is well-positioned to experiment with some of the worst crimes in the world: terrorism before, piracy now. What is happening? The media and the international community seem to be concerned only when a new problem emerges, but those problems are just a consequence of 18 years of civil war and a population that in several areas of the country does not have an adequate level of self-sufficiency. These underlying long-term problems do not seem to worry the international community. However, the international community has tried to do a lot: the US/UN mission in the 1990s failed, 15 peace conferences were sponsored by Western, Arab and African countries. What more should the international community do? The international community acts without a strategy. They spent millions of dollars to organize those peace conferences, but they did not act in a coherent manner. I was at the peace conference in Nairobi in 2004 and I met with the spokesperson of the US envoy. Knowing that most of the conference money was given to local warlords and spent on luxury hotels in Nairobi, I asked him whether they had any form of accountability for expenditures. He said no. The problem is that for some Western countries this anarchical situation in Somalia is more advantageous than dealing with an organized state. Whenever foreign governments want they can bomb suspect criminals without getting authorization and without being charged by local authorities, whereas with a functioning state in place these governments would not have the same freedom to act unilaterally in a foreign land. Today you are an observer of the situation, but there was a time when you were directly involved in the political process. Why don’t we take a look at some history to understand the causes of the current situation? I am a doctor. In the late 1960s, nine years after Somali independence and a failed experiment of a parliamentarian democracy, an army group led by Siad Barre did a coup d’état. The previous government was so corrupt that the population welcomed the newcomers. But Barre and his military officers were unprepared to build a functioning political system, so they decided to invite a group of about 20 young professionals who had studied abroad to establish the government. I, a young doctor having completed my studies in Italy, was among these people. You have served in two Minister positions under Siad Barre, but you have also been in jail twice. Why? The experiment of the group of young professionals guided by a military power functioned well for a certain period of time. We were able to make several important reforms; we introduced a national health care system, we introduced the written language (before Somali was only a spoken language) and we started universal education, but the military power seeks, after a while, another targets, and it is always the same in all corners of the world. They want to stay as long as possible So, the experiment began to fail when the concerns of some of the professionals involved were not understood. Barre became increasingly suspicious of the people around him and he started to doubt many of us. So why did many people finish their career in jail and even died there? After having lost the war against Ethiopia in 1978, Barre started to become isolated internationally because we lost the support of the Soviet Union without gaining US support (as Barre thought would happen). And the differences between the group of professionals and Barre became even more pronounced. Barre reacted using his military power and put anyone he thought might threaten his authority in jail. But this policy was also the beginning of the end for Barre. In 1991 Barre was forced to leave the capital and retreat to the South, but the situation after Barre was even worse. Barre had not prepared someone to succeed him nor had he prepared the country for democracy. In 1991 Somalia was freed from the influences of the Cold War, but also abandoned to get back on its feet by itself after 10 years of failed World Bank policies had partially destroyed the welfare state built during the 1970s, all to the backdrop of fighting among several groups trying to take over Barre’s position. Were those groups the famous Somali clans? First of all, it is important to understand that Somalia is one of the few countries in Africa that has one language, one religion, one big clan. The big Somali clan then has six other clans, which have sub-clans, etc. Traditionally most of these sub-groups were shepherds often fighting to have the better pastures and water for their cattle. When Barre came into power he tried to unify the country under the flag of one clan, one nation. But when he started to radicalize the government, the sub-clans organized themselves to overthrow Barre. And when Barre was overthrown, even the army separated into different groups based on sub-clan affiliation. Is this division between clans the main obstacle to peace? Not at all. The warlords who proclaim themselves sub-clan leaders in most cases are not recognized as such by the members of the sub-clan. The central issue is not clan affiliation, but money, power and various trafficking activities managed by those warlords. In your opinion, what should the international community do in order to facilitate the peace process? First of all, the international community should recognize its mistakes. In 2004, they supported President Abdullahi Yusuf even though he only had influential leadership in the Puntland region and not all over Somalia. Yusuf asked Ethiopia for help, even though for Somalis Ethiopians are enemies. He never tried to start reconciliation with the other members of parliament. After four years even the most blind among the international community recognized the mistake, but in the meantime these four years were wasted and the situation had worsened. 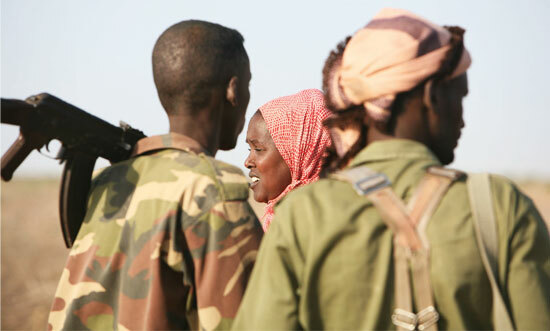 The radical Muslim group Shabab that is still disliked by most Somalis is ruling in several areas in southern Somalia. Secondly, it would be necessary to create a committee able to design a road map, then discuss it with the various true sub-clan leaders and furnish them with the instruments needed to implement it. Third, Somali emigrants in other parts of the world should be involved in the decision-making process because the Diaspora provides more than half of Somalia’s income and can offer a unique perspective. Anna Mays is a UNICRI Consultant at the UN Headquarters in New York. Francesco Candelari is the UNICRI Liaison Representative to the UN Headquarters in New York.